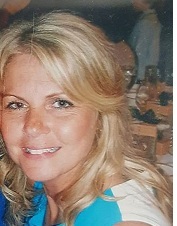 Anna M. Baxter, 45, of Barrington, died peacefully Thursday at home surrounded by her loving family. Born in Providence, she was a daughter of Geraldine (Winters) Baxter and the late Kenneth Baxter. Anna worked as a hair-stylist for Capelli’s Salon for the past several years. She was a communicant of Cathedral SS Peter and Paul, and will be missed by all who knew her. In addition to her mother, she leaves three loving children, a son, Justin A. DaRosa, two daughters, Alexia G. Moronta, and Adriana L. Francis, four brothers, Kenneth Baxter, Jr., James Baxter, Michael Baxter, and Edward Baxter, three sisters, Jo-Anne Fortune, Deborah Turcotte, and Geraldine Baxter, and was the sister of the late Doreen M. Harrison. Anna was loved by numerous nieces and nephews. The funeral will be held on Tuesday, at 8:45 am, from the Russell J. Boyle & Son Funeral Home, 331 Smith Street, Providence. Mass of Christian Burial at 10:00 am in the Cathedral of SS Peter and Paul, One Cathedral Square, Providence. Burial will follow in Saint Ann Cemetery. Visiting hours Monday, 5 to 8 pm. In lieu of flowers, donations to The Tomorrow Fund, 593 Eddy Street, Providence, RI 02903 in Anna’s memory would be appreciated.